This retreat is planned and based around the meditation and qigong schedule. It’s sole focus is to impart life changing techniques to allow participants to undergo a complete transformation on a physical, mental, emotional and spiritual level. All accommodation is twin share, unless you book a private room, with a choice of either two single beds or one queen . Luxurious shared shower and toilet facilities to suit all our guests. Price is per person and includes all Education, food, drinks, transport, 3 full days of sightseeing, Transportation to and from airport. In fact you don’t have to put your hand in your pocket again. Unless of course you want to buy some souvenirs around the islands. This retreat is planned and based around the surfing schedule. The focus is providing a complete surf experience combined with techniques and tools to balance the 4 realms of self. 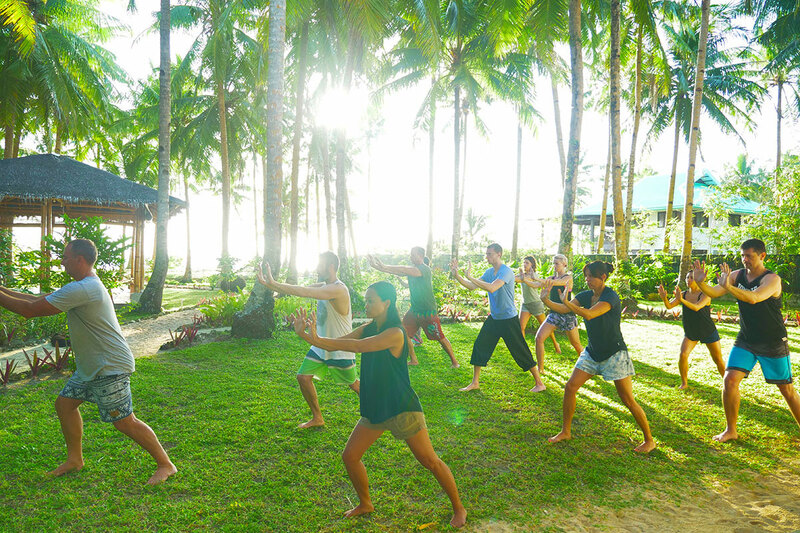 Participants will learn physical disciplines and techniques to keep a healthy body, as well as meditation and qigong techniques to balance the mental and emotional states. All accommodation is twin share, unless you book a private room, with a choice of either two single beds or one queen . Luxurious shared shower and toilet facilities to suit all our guests. Price is per person and includes all Education, food, drinks, transport, 3 full days of sightseeing, Transportation to and from airport. In fact you don’t have to put your hand in your pocket again. Unless of course you want to buy some souvenirs around the islands.